We are happy to report that construction of a new school building on our main Uganda campus, which was phase two of our goal to get our high school fully accredited, has now been completed. Construction ended in late September, just in time for the students to use the new building to take their national exams this month. This is the first time that our students have been able to take their national exams at our high school — in years past, we had to take our students to other accredited schools elsewhere. 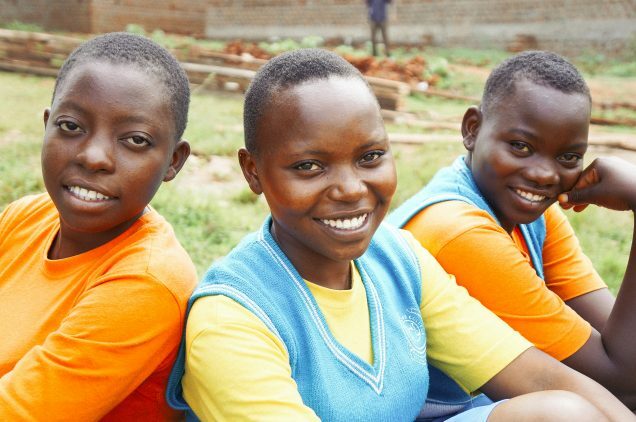 But now that we have received a “center number” from the Uganda National Examination Board, we have the official status to allow students to take their national exams on the school premises. The new building on campus houses the examination hall, a new science lab, the school library, the computer lab with 30 computers, and more offices. We have also equipped the science lab with all of the necessary science apparatuses, chemicals, solutions, shelves, lab tables, and chairs. Photo inset: (Top-left): There are currently 250 students enrolled in our high school studying a variety of subjects, including English, geography, history, commerce, and chemistry, among many others. (Top-right): The high school building on our Uganda campus (shown here mid-construction) is now completed. 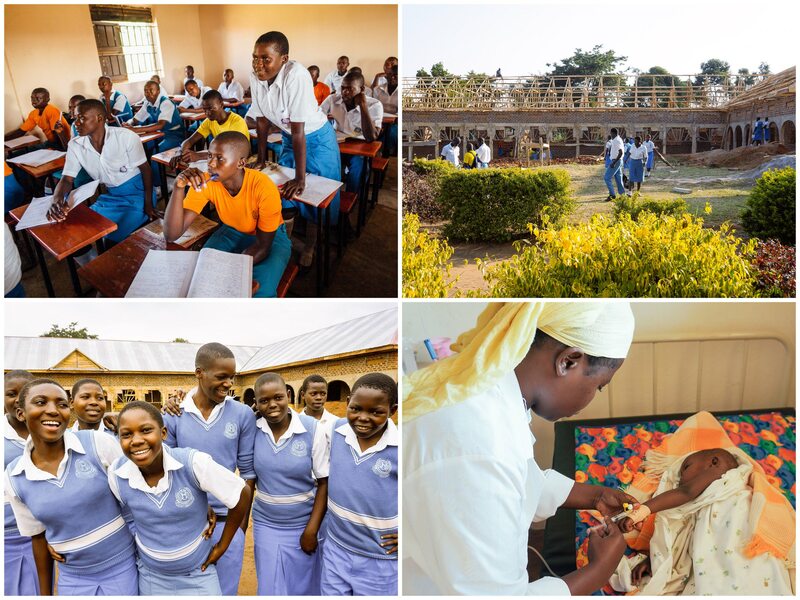 (Bottom-left): Students at our high school are excited for the completion of the new building, which provides spaces for a new science lab, school library, and computer lab. (Bottom-right): The medical clinic on our main campus provides quality medical care to the local community and surrounding villages.